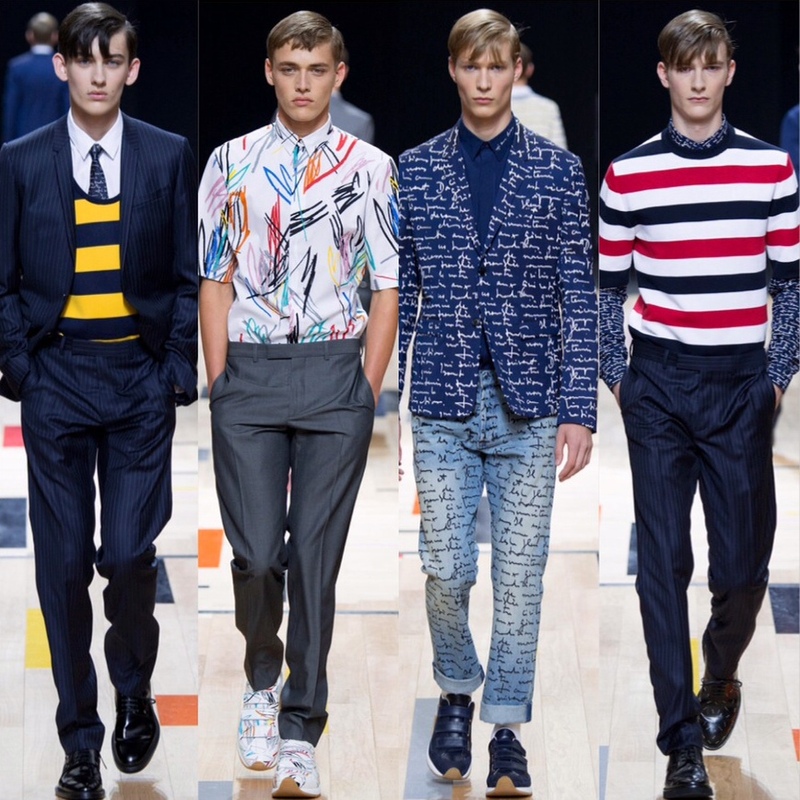 DSQUARED2 dominated catwalk by the generous ‘splash’ of bright colors and prints. 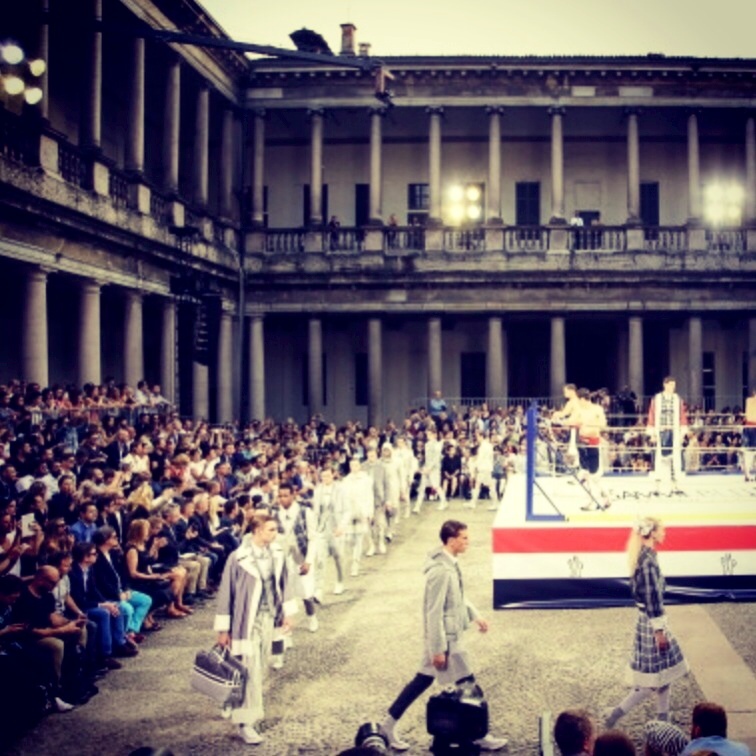 Moncler shocked by innovative approach to presenting the collection in the historical fighting arena range. 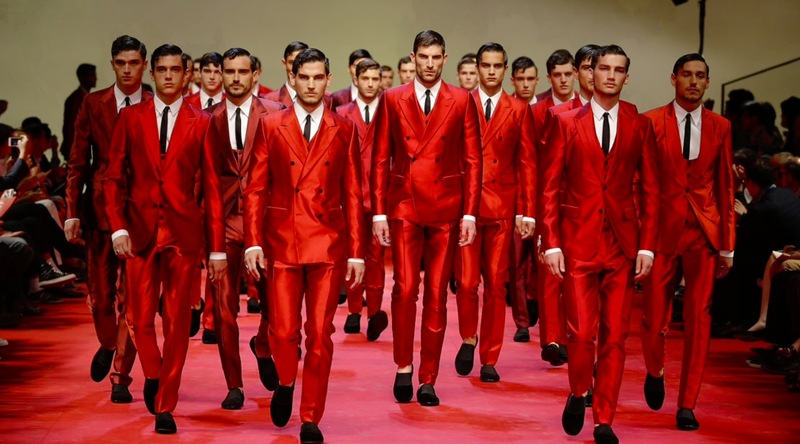 Dolce & Gabbana were inspired by the influence of Spanish colonists in Sicily in 16th century and transformed the catwalk to ‘corrida’. 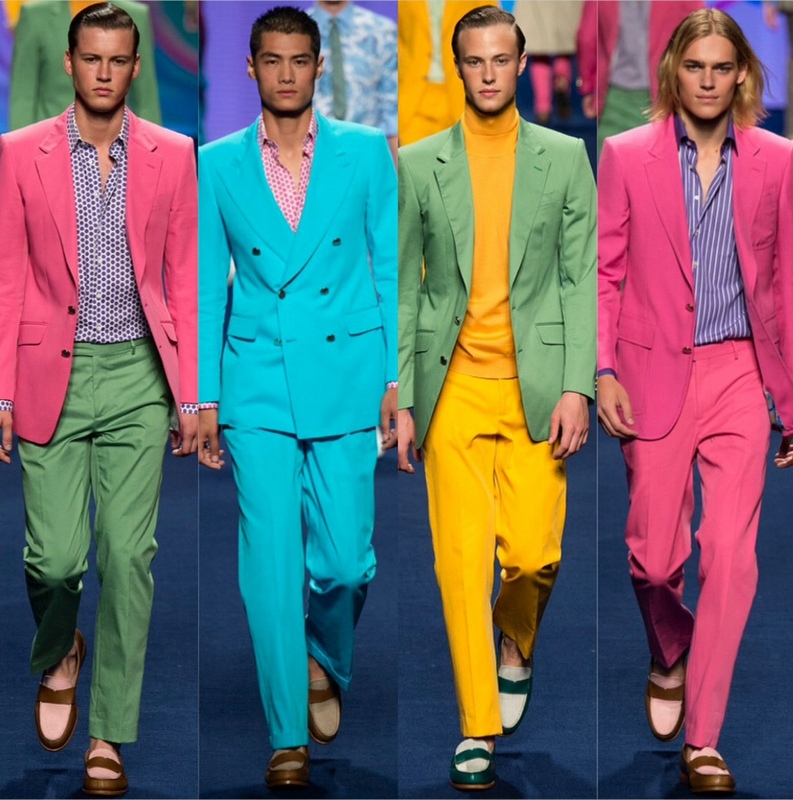 Etro was about color on color! 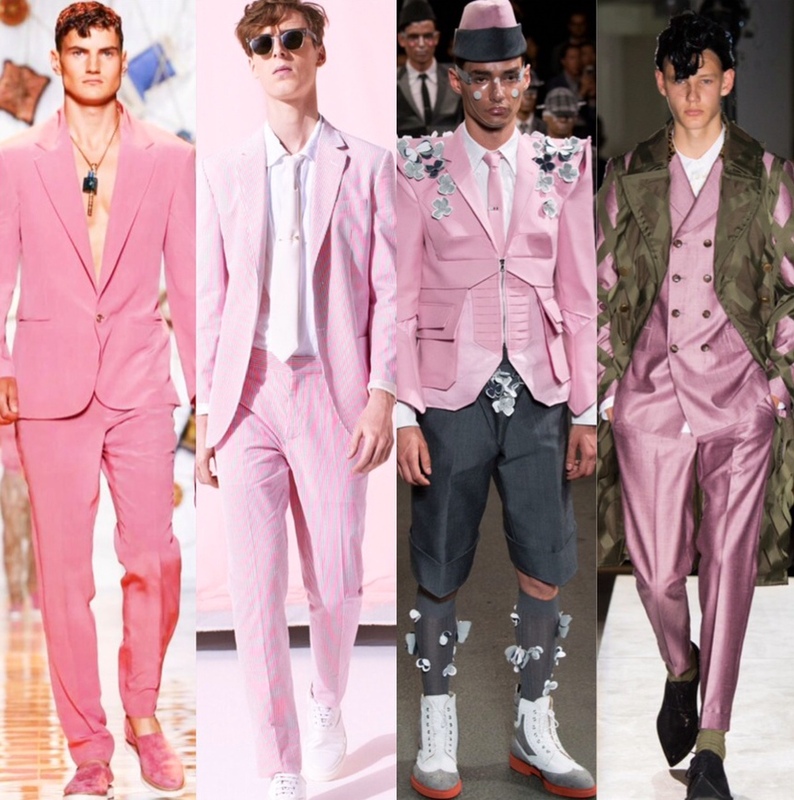 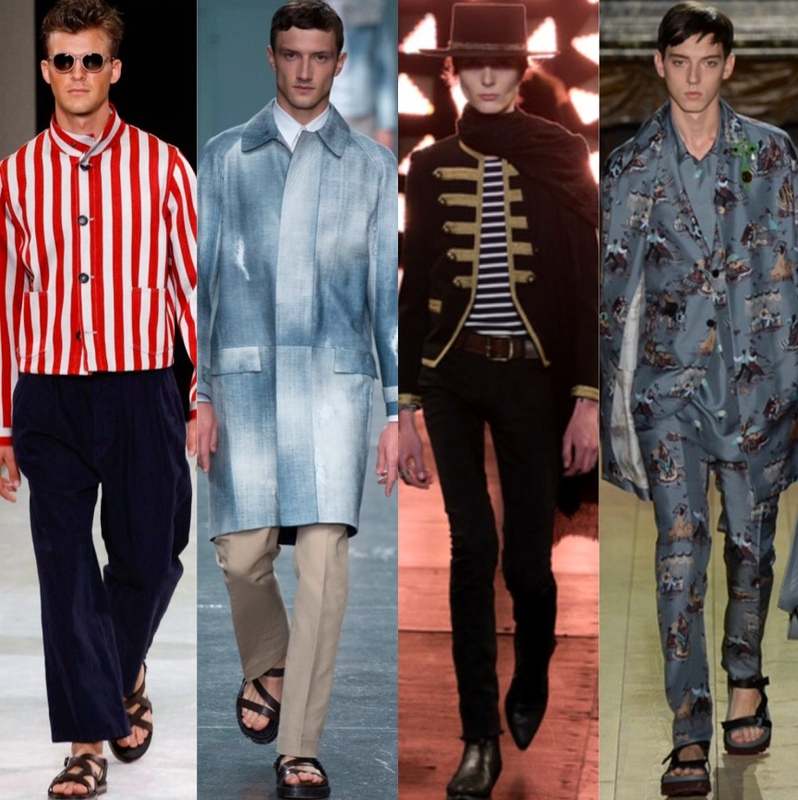 Monochromatic suits, or mixed and matched combinations in expressive rainbow colors were unexpected departure from rich prints heavily prevalent in previous collections. 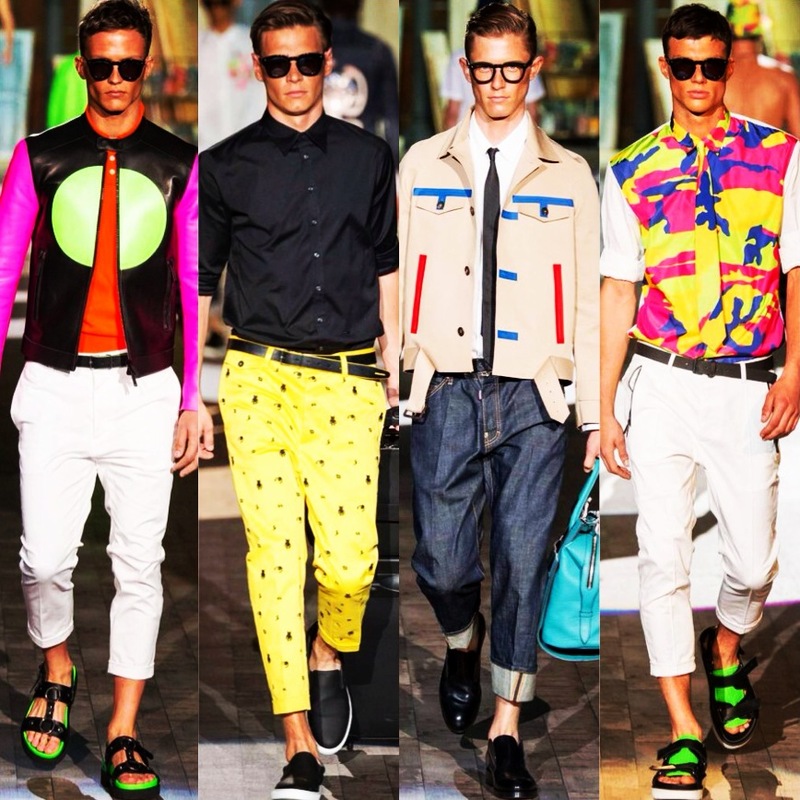 Moschino was wild, fun and beach ready with quite a few styles sported by the ladies. 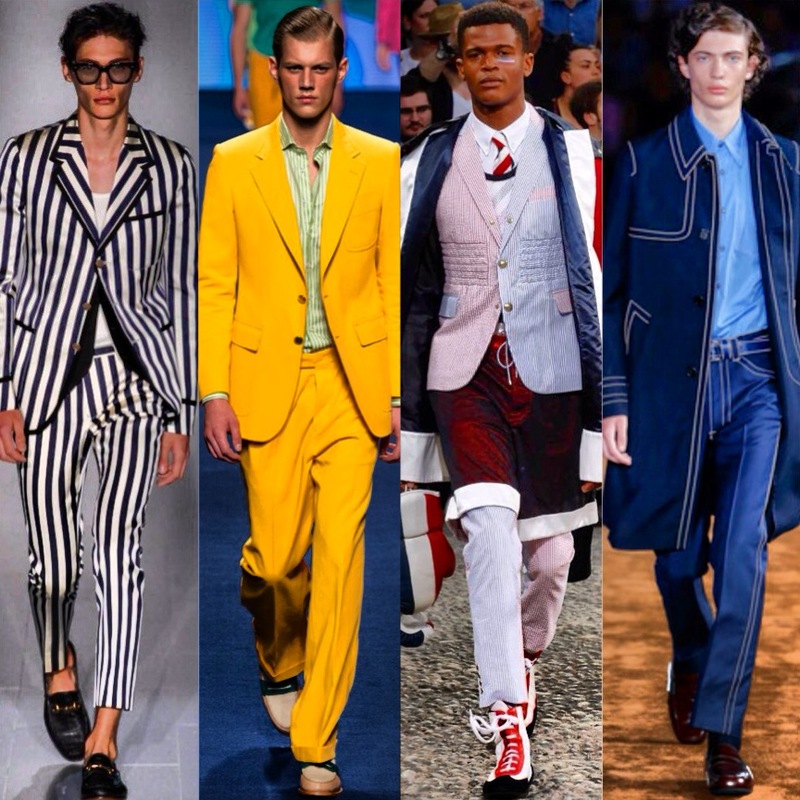 And finally our favorite pants suits picks on the ladies of the menswear fashion week, seen in the streets.